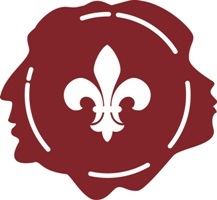 Founded in 2000, the Quebec Anglophone Heritage Network (QAHN) is a non-profit, non-partisan province-wide organization engaged with its members in the preservation of the built, cultural and natural heritage of Quebec. QAHN aims to promote a greater understanding of the history of Quebec’s English-speaking communities by informing, inspiring and connecting people through its activities. Membership is open to any organization or individual, regardless of language or cultural affiliation, with an interest in the history, heritage and culture of Quebec’s English-speaking communities. QAHN encourages cooperation and communication among its members, and assists member-organizations in obtaining resources and related services for their activities and facilities. Members include museums, historical societies, and numerous other heritage and cultural organizations, as well as individuals. A number of our member-organizations are primarily French-speaking. Many Quebecers have links to Anglophone heritage even though they see themselves as having some other linguistic or cultural attachment. There are also many communities in Quebec that communicate in English but whose members do not come from what are traditionally thought of as English-speaking countries. QAHN does not focus exclusively on the heritage of the British Isles, but on all groups that expresses themselves in English. Similarly, there are many instances where Anglophone heritage is being preserved by members of Quebec’s French-speaking community. QAHN, therefore, speaks of Anglophone heritage as a field of interest. QAHN is non-political and totally inclusive. QAHN's concern is with the preservation of the English-speaking community’s heritage, not with language. Your support is important to QAHN!